(Inside Measurements on all Drawers). 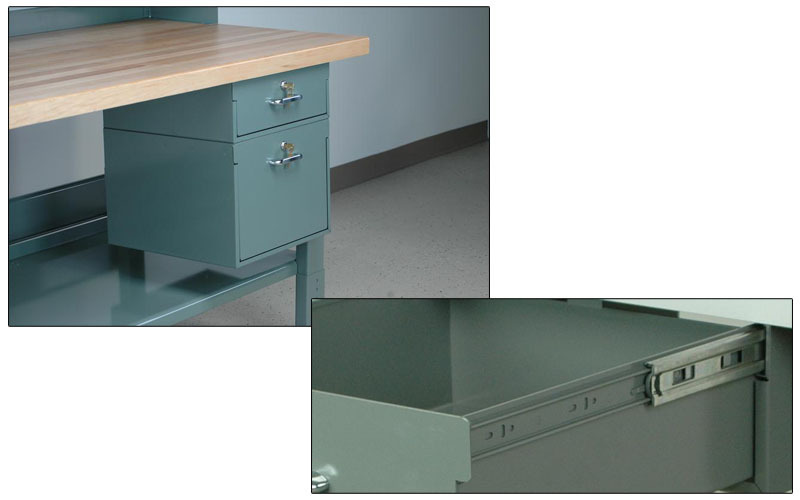 These 16" long roller bearing drawers are the perfect add on accessory for any workstation. 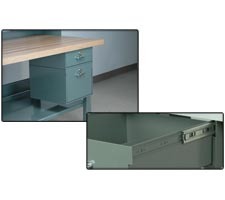 These drawers can be bolted together in any configuration to create a true modular drawer workbench that can be easeily reconfigured at any time. 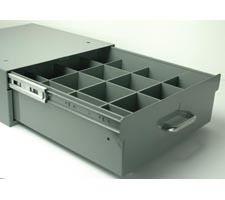 Choose from 3", 5", or 11" high drawers. 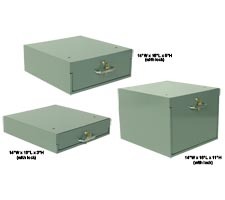 All drawers have 14" extension roller bearing slides and have a weight capacity of 75#. 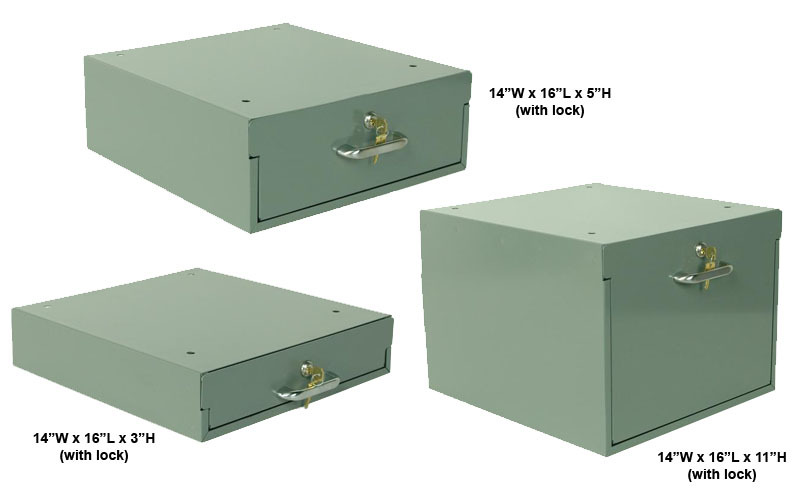 Divider kits are made for the 3" and 5" high roller bearing drawers. 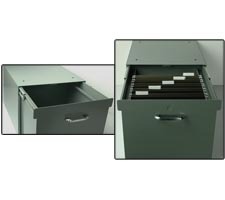 This kit is composed of (6) steel strips that are slit on 1" incerments and can create up to (12) compartments within the drawer. The dividers can be adjusted whenever the need arises. All dividers are 2-1/2" high. 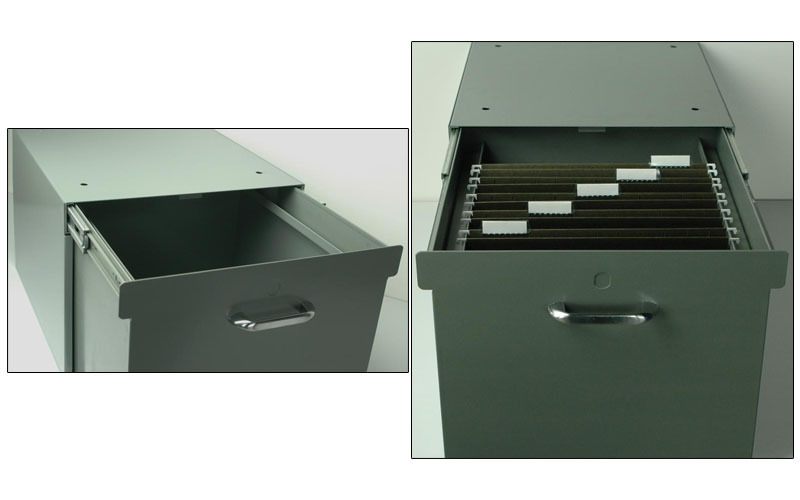 File runners can be added to any 11" hgh drawer and allow file folders to be hung along the full length of the drawer. 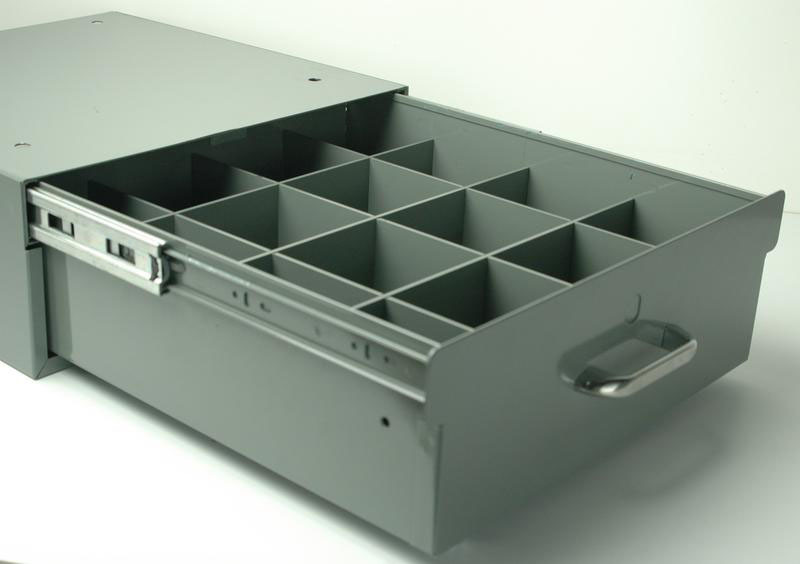 Runners are welded on at the factory but can also be added to existing drawers in the field.